The only way to describe the Travis Scott Air Jordan 4 Retros properly would be to use the rappers own adlib: la flame. 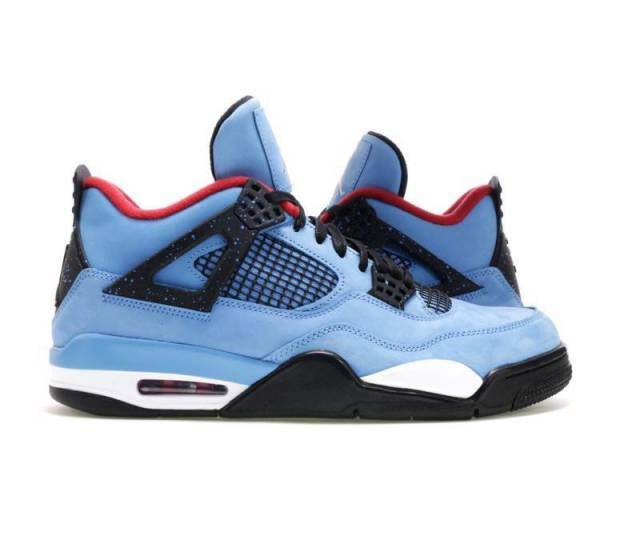 These Jordan 4s were made in collaboration with rapper, Travis Scott and nicknamed the “Cactus Jack” edition. Similar in design to the infamous Eminem pair which would only increase in price.